google.com. 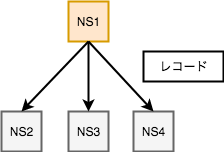 55214      IN         NS         ns3.google.com. google.com. 55214      IN         NS         ns4.google.com. google.com. 55214      IN         NS         ns2.google.com. google.com. 55214      IN         NS         ns1.google.com.
.                  152273     IN         NS         f.root-servers.net.
.                  152273     IN         NS         l.root-servers.net.
.                  152273     IN         NS         e.root-servers.net.
.                  152273     IN         NS         j.root-servers.net.
.                  152273     IN         NS         d.root-servers.net.
.                  152273     IN         NS         b.root-servers.net.
.                  152273     IN         NS         g.root-servers.net.
.                  152273     IN         NS         i.root-servers.net.
.                  152273     IN         NS         h.root-servers.net.
.                  152273     IN         NS         c.root-servers.net.
.                  152273     IN         NS         a.root-servers.net.
.                  152273     IN         NS         k.root-servers.net.
.                  152273     IN         NS         m.root-servers.net. com. 172800     IN         NS         l.gtld-servers.net. com. 172800     IN         NS         b.gtld-servers.net. com. 172800     IN         NS         c.gtld-servers.net. com. 172800     IN         NS         d.gtld-servers.net. com. 172800     IN         NS         e.gtld-servers.net. com. 172800     IN         NS         f.gtld-servers.net. com. 172800     IN         NS         g.gtld-servers.net. com. 172800     IN         NS         a.gtld-servers.net. com. 172800     IN         NS         h.gtld-servers.net. com. 172800     IN         NS         i.gtld-servers.net. com. 172800     IN         NS         j.gtld-servers.net. com. 172800     IN         NS         k.gtld-servers.net. com. 172800     IN         NS         m.gtld-servers.net. google.com. 172800     IN         NS         ns2.google.com. google.com. 172800     IN         NS         ns1.google.com. google.com. 172800     IN         NS         ns3.google.com. google.com. 172800     IN         NS         ns4.google.com. google.com. 151698     IN         NS         ns3.google.com. google.com. 151698     IN         NS         ns4.google.com. google.com. 151698     IN         NS         ns1.google.com. google.com. 151698     IN         NS         ns2.google.com.